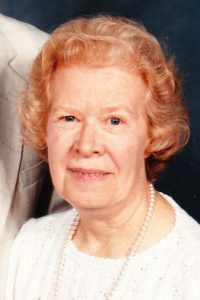 Mary E. Wyant – 96 – formerly of Arkport, NY, died early Tuesday morning (June 5, 2018) at Hornell Gardens, where she had resided for the past three years. 3 grandchildren, Lauren Wyant, Jason Wyant and Steven Wyant; several nieces & nephews. Please accept my sincere condolences for your loss. After reading it is obvious she was loved and will be missed by many. During this difficult time I hope you can find comfort from God’s where it gives us a solid hope of seeing our loved ones again. Job 14:14,15 is one of my favorites. It says “If a man dies, can he live again? … You will call, and I will answer you..” For more encouraging scriptures please go to jw.org.